The one-ounce (oz) silver coin, 31.10 grams (g), South African Krugerrand is an internationally popular coin. This elegantly designed coin is considered an interesting and unique coin for all collectors or investors. Like many other international coins, the South African Krugerrand offers elements of heritage and African culture on this coin. 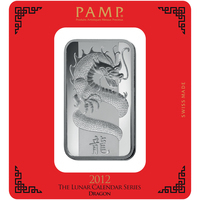 These internationally renowned coins are attractive choices for many investors around the world. They offer a real chance to buy high-quality silver (0.9990 fine silver) at a good price. 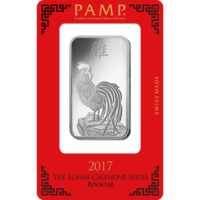 This timeless silver coin is a good investment in the precious metals industry and/or a great way to diversify your portfolio. 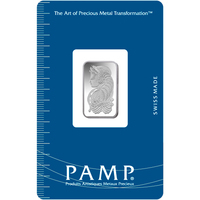 Buying physical silver or storing it in one of our highly secure vaults is an investment of choice. 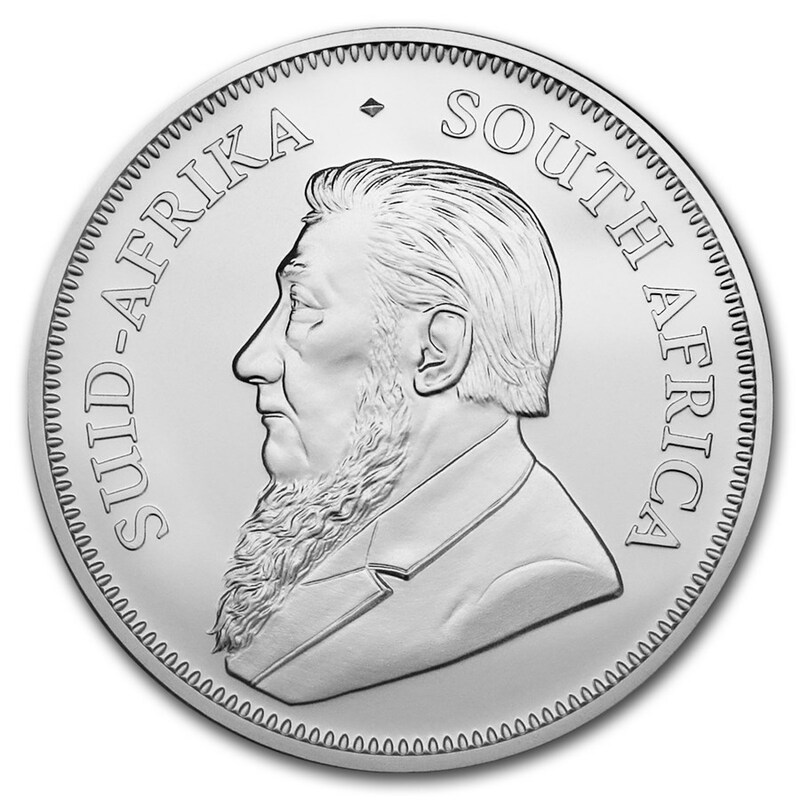 The obverse side of the coin illustrates Paul Kruger. The fifth president of South Africa is proudly represented on this coin. Besides, his name is engraved in English and Afrikaans. 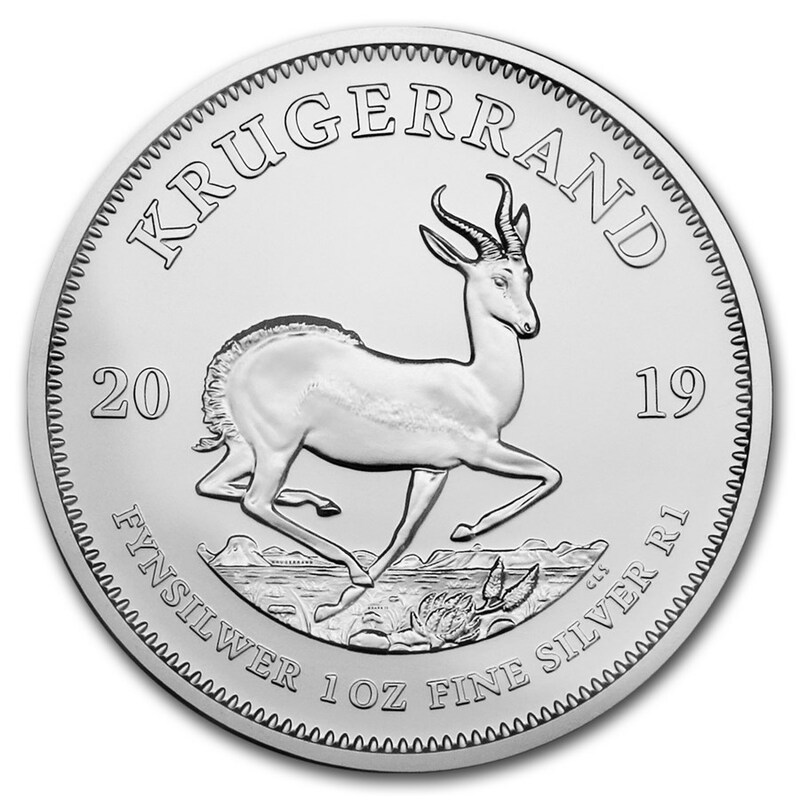 The back of the coin takes us across the wild plains of Africa to the grassy savannah, where its fauna is represented by an elegant and majestic antelope. The antelope is the national animal of South Africa, from where he was chosen to represent his country on this famous coin. Protect your silver South African Krugerrand coin from fingerprints by using cotton gloves and carefully handling your coin. You can also protect your precious metal coin by keeping it inside a clear plastic capsule. 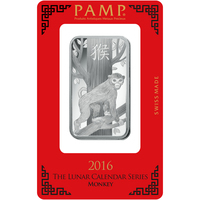 This will expose the con in a very elegant way and will enhance the value of your coin collection.